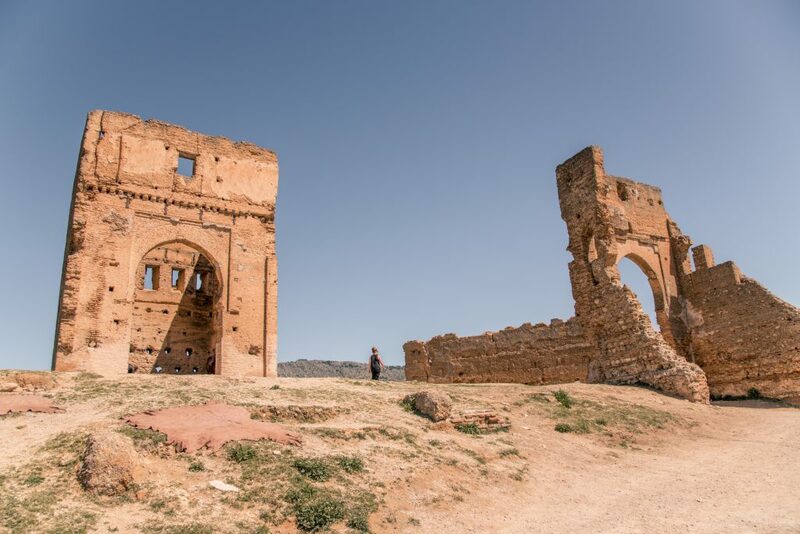 Some of my friends thought going to Morocco for just a weekend in Fez was a little crazy. For just a weekend why not choose a destination within Europe? I’m always the first to admit I am a little crazy, but this trip was actually cheaper then any weekend trip in Europe. As long as you can find a cheap flight it is well worth it! I’d been to Morocco before with my a parents and honestly we found the whole experience a bit overwhelming. 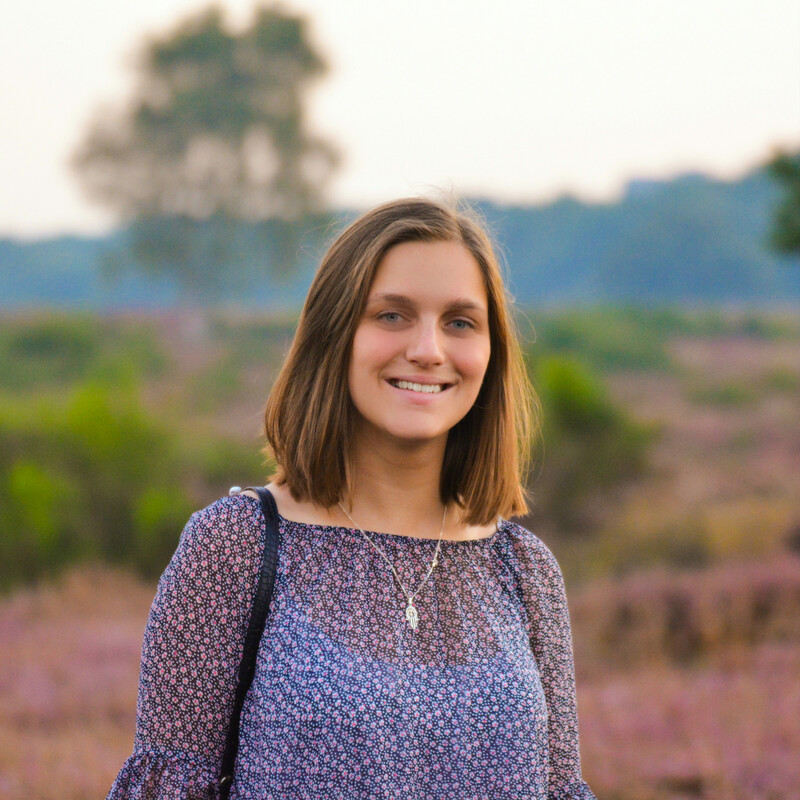 I didn’t feel comfortable traveling as a woman in Morocco and men were constantly harassing us. Especially Marrakesh is not among my favorite destinations. 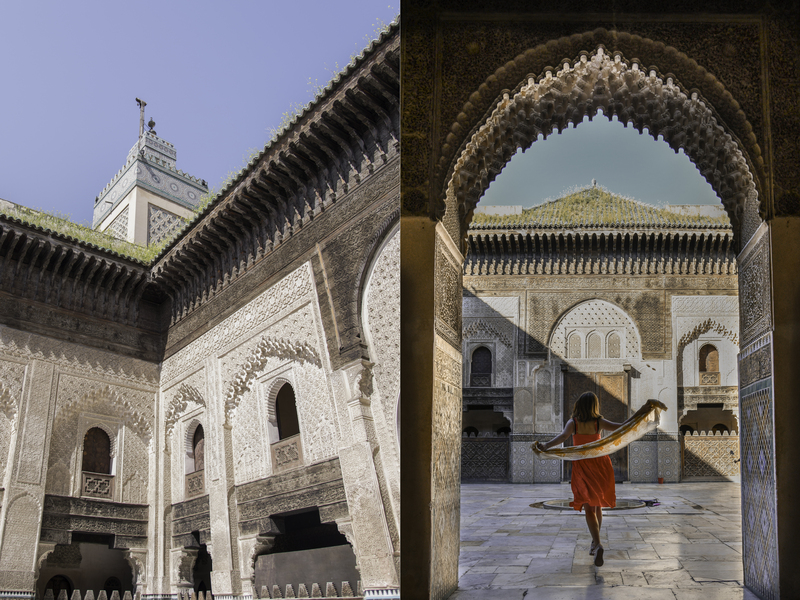 Still, I kept hearing stories from people who loved Morocco, so I wanted to give it a second chance. I’m glad that I did, because it was a completely different experience this time around. 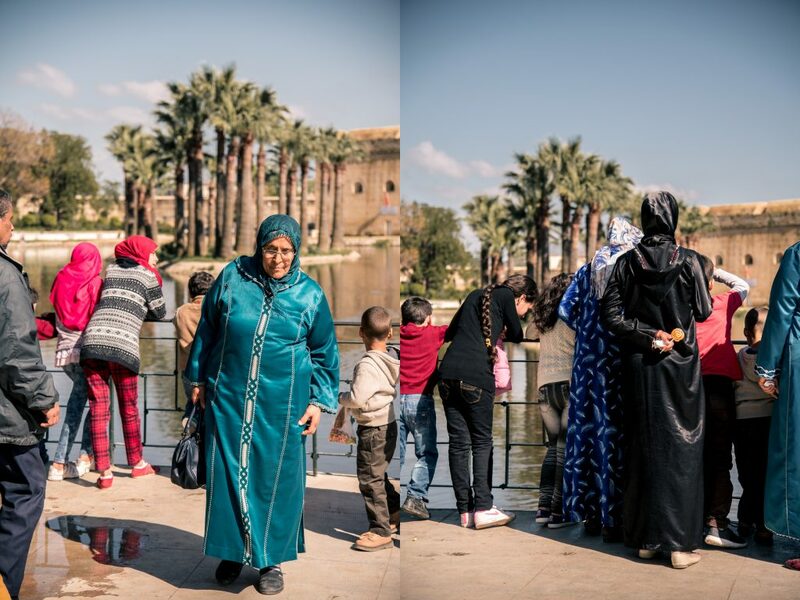 This time I got to experience a side of Morocco that was much more laid back and hospitable. 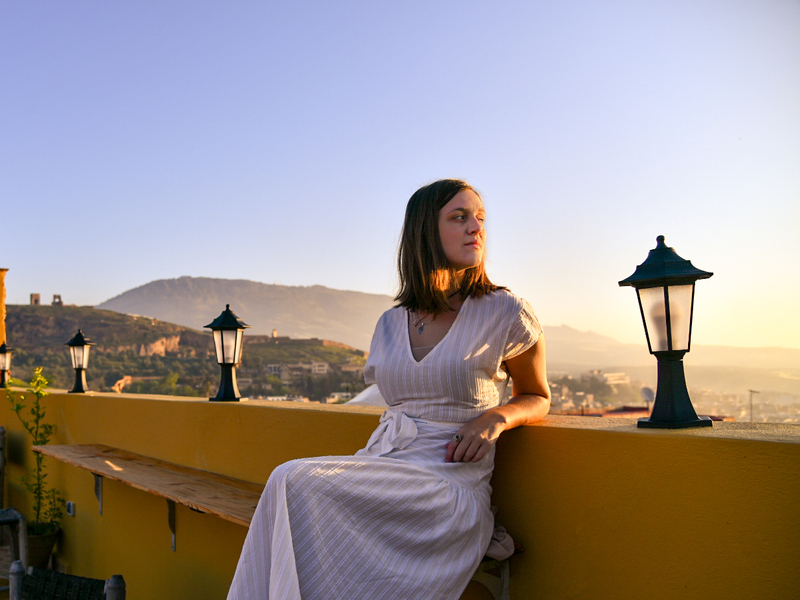 In both Fez and Chefchaouen I felt comfortable and people were friendly and helpful. 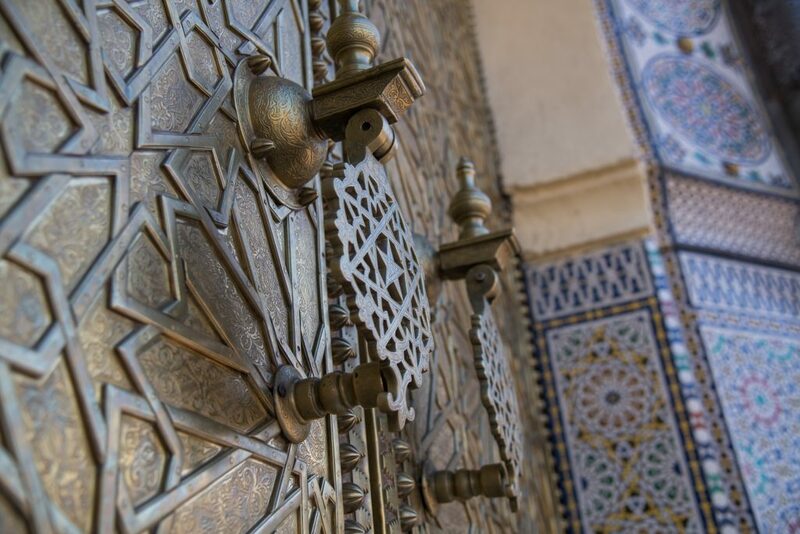 The Medina is filled with sights you’ll want to see. However, if we had tried to do it ourselves we would still be there today trying to find the way. The Medina is a big chaotic maze. We ended up getting a guide to give us a tour of the Medina. Usually I would explore by myself, but in this case you actually really need a guide. Our guide Fatima took us past all the sites and gave us the needed history lessons, because we knew absolutely nothing. Later we explored more by ourselves and also visited some sights outside of the Medina. It’s not the doors that were most impressive to us, but the walk there. 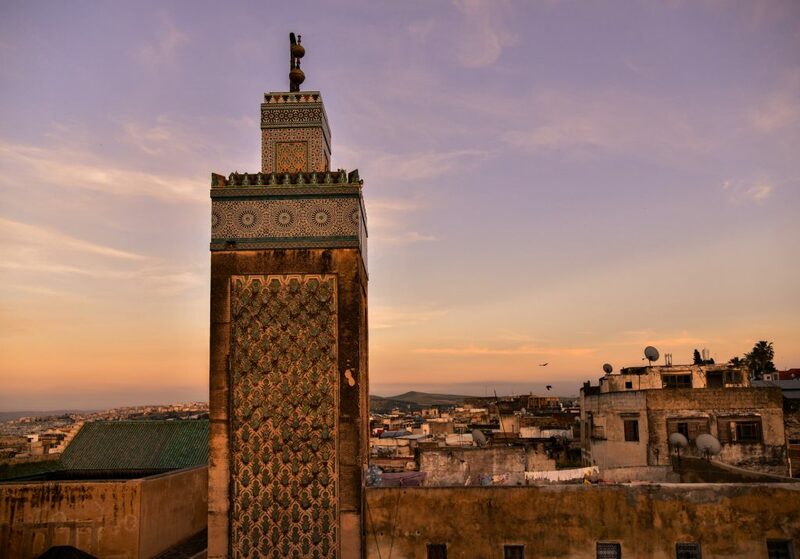 We got up for sunrise and seeing the city come to life was one of our favorite experiences in Fez. You’ll see people setting up their stalls for the market and you can have a closer look at things before the chaos. It’s also the only way to see the gates without big groups of people flocking in front of it. 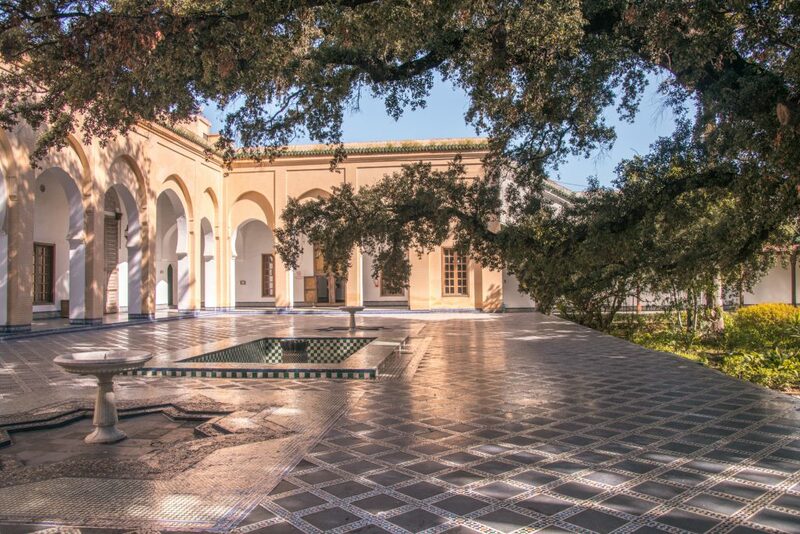 This old Madrasa is stunning, but also very small. If you come here in the middle of the day the place will be swamped with tourist groups. We went back by ourselves after visiting this place with our guide. We went right when it opened to make sure we had it to ourselves for a moment. Fez is famous for it’s leather goods. If you want to see how all these items are made follow your guide (or the smell) to the tanneries. Yup, I said follow the smell. The hides are soaked in cow urine, pigeon feces. Thankfully you’ll be offered some mint to mask the smell while you have a look at the process. 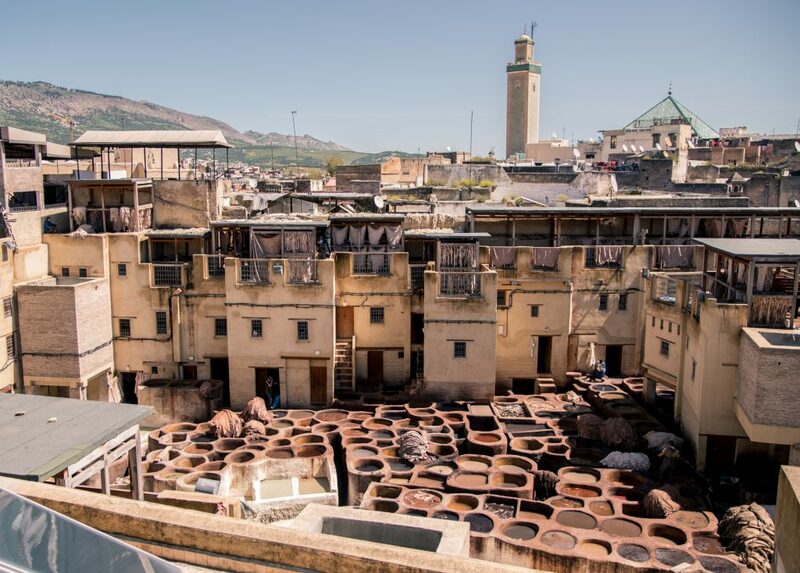 The Chaouwara Tannery is the most famous one, but there are several tanneries around the city. After viewing the tanneries the shop owners will take you around the shop, but if you plan on buying stuff do research on prices before hand. You’ll have to haggle to get a good price. This museum is on the way to the Jnan Sbil garden and the Royal Palace. If you’re passing by it’s definitely worth it to make a little stop here. Some old people convinced us we’d need hours here. We came back at a later time, only to find out half an hour would have been enough. The garden is absolutely stunning, but we wished there would have been more information about the objects displayed. 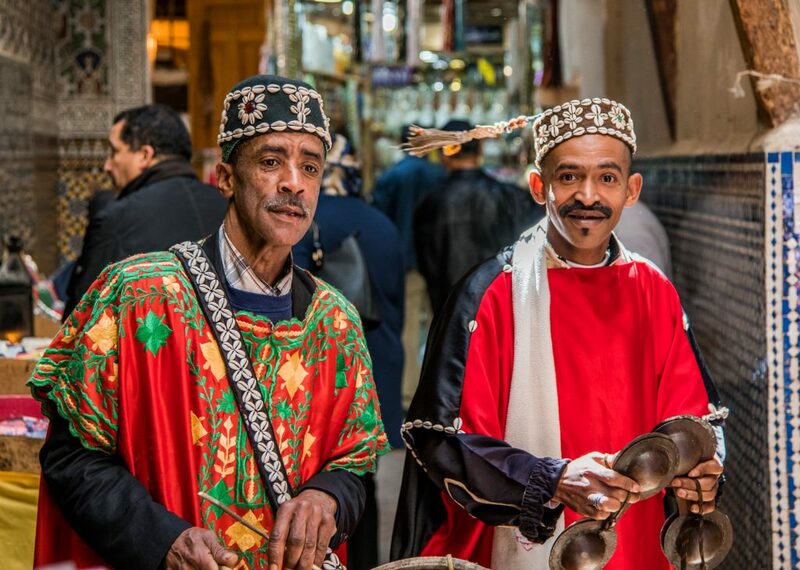 Many visitors describe it as a great getaway from the chaotic Medina. However, when you visit on a Sunday you’ll notice that all the local families are spending their day at the park. We loved seeing all the locals hang out at this beautiful spot. The park is home to approximately 3000 plant species and very well kept. 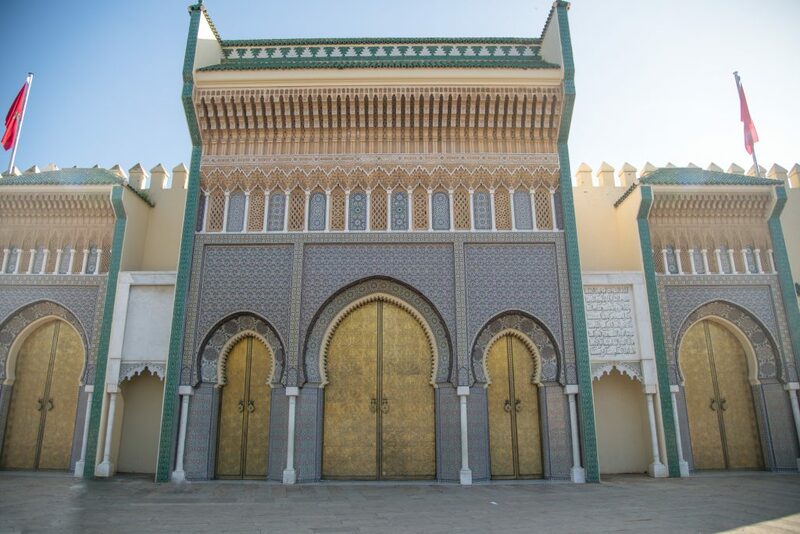 I recommend walking through it on your way to the doors of the Royal Palace. On our last morning in Fez, we’d seen most of the sights. We hadn’t been to any of the ruins outside the city so we asked if we could still visit some. 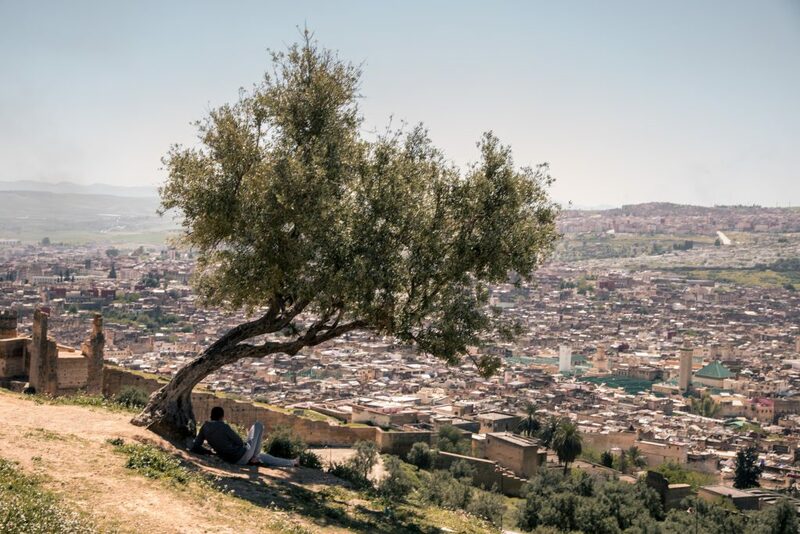 Our hostel recommended walking to the tombs as it’s a great lookout point! The Ruined Garden: I’ll admit this is a total tourist cafe, but the food and location is just really great. Locals will tell you it’s super expensive, but don’t let it scare you off. It really isn’t expensive at all. We went here for lunch and ended up spending €5 per person. 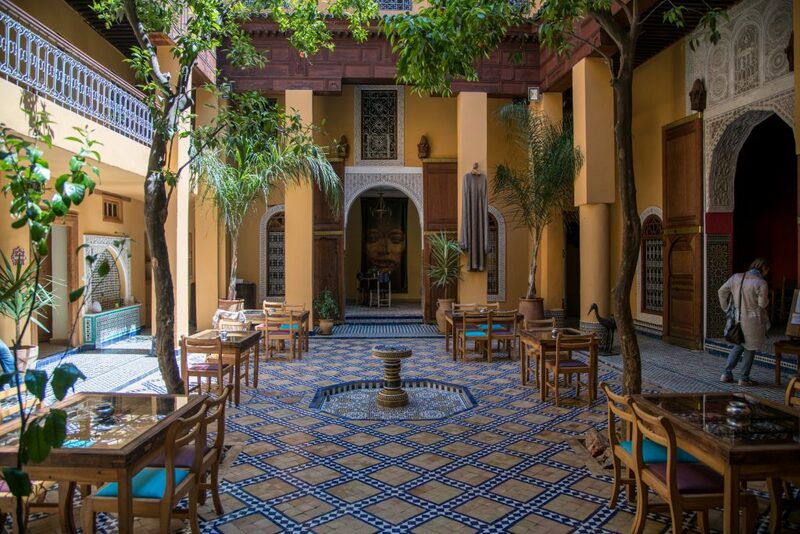 Fez Cafe: This place is located in a stunning garden. We sat down here for a drink, but didn’t go for food, because it was a little pricy. I’ve heard the food here is good though. Cafe Clock: Their rooftop is a super cool hangout spot where also locals come to chill and drink tea. Lovely place for dinner as you can watch the sunset over the Medina with live music if you’re lucky. 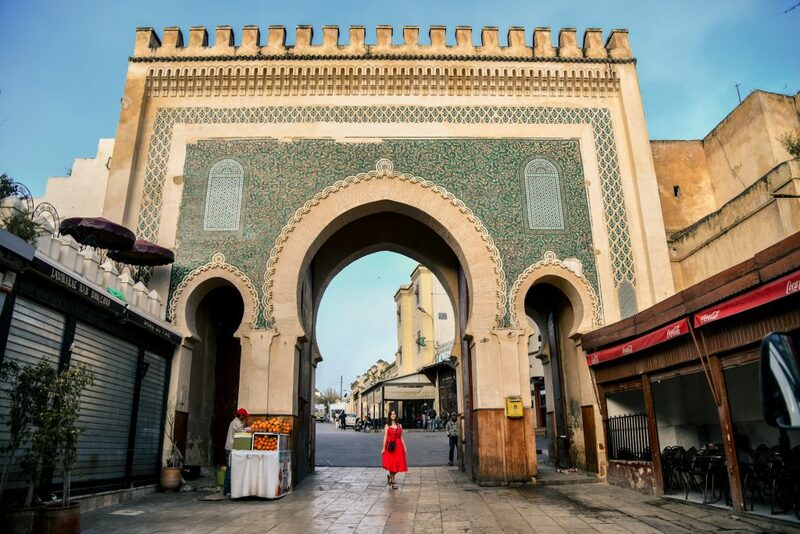 You can’t miss this spot when you’re in Fez. 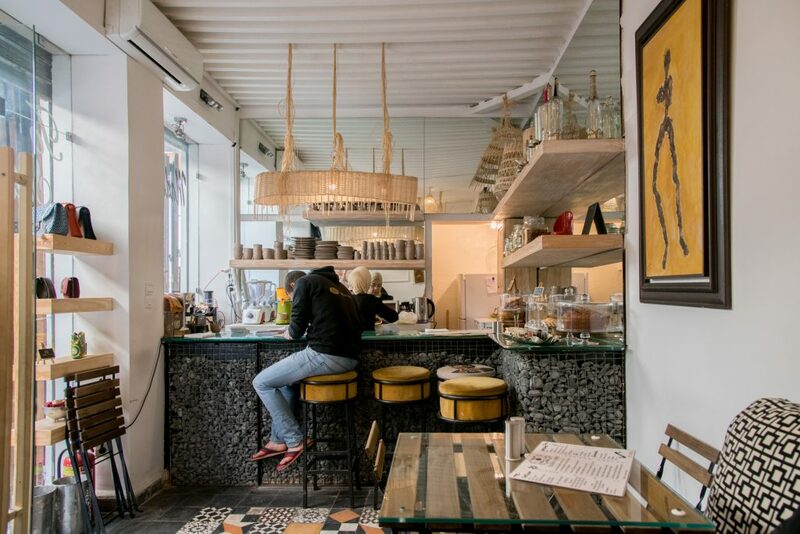 Made in M: I would describe this as the hipster cafe of Fez. The interior is a mix of traditional and modern elements. We ended up grabbing some food here before we left and I remember thinking that this is a place I could see in Amsterdam. It’s small, friendly, clean and they serve some good sandwiches. Medina Social Club: The best food we had in Fez was actually in our hotel. I’ve never had veggies that were so damn tasty and me and my mom stil wish we had the recipe. We were looking for a nice affordable getaway and the Medina Social Club seemed to fit the bill. Once we arrived it exceeded all our expectations. It’s in the middle of the Medina, but it’s very relaxed an quiet. I booked it on hostelworld, but it looked more like a fancy hotel. The room was clean, the beds were good and the food is amazing. I usually would never recommend eating at the hotel as I’m all for exploring new places, but the food here is too good not to give it a try. For sunset order a drink on their wonderful rooftop terrace! Disclaimer: This is not an add. We just really loved it! This is really very helpful and well written. Accompanying photos are fab! Thanks.